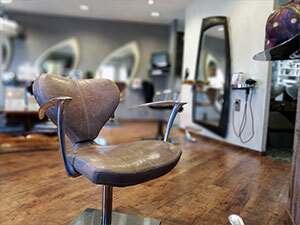 I have been a qualified hairdresser for over 30 years and my own boss for over 15. 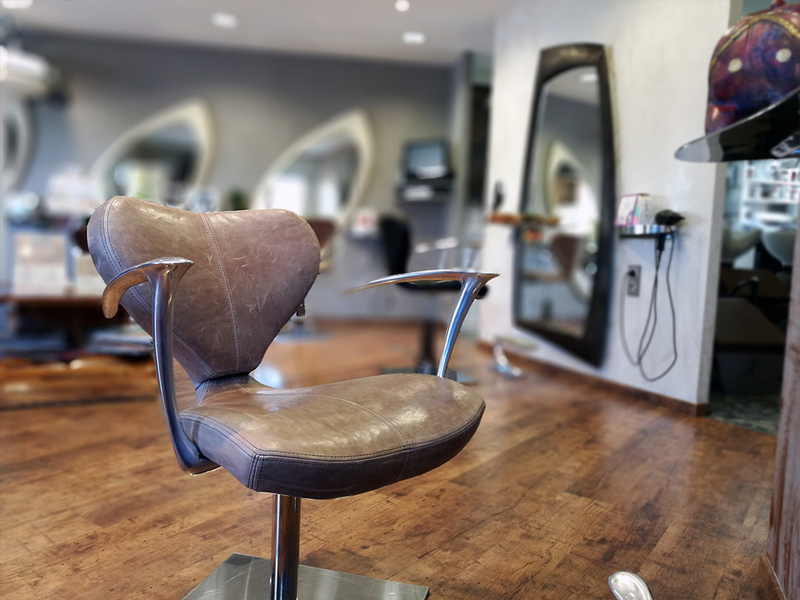 My profession and philosophy have remained unchanged throughout this time: respect others and their hair in order to enable and enhance well-being and reveal people’s natural beauty. 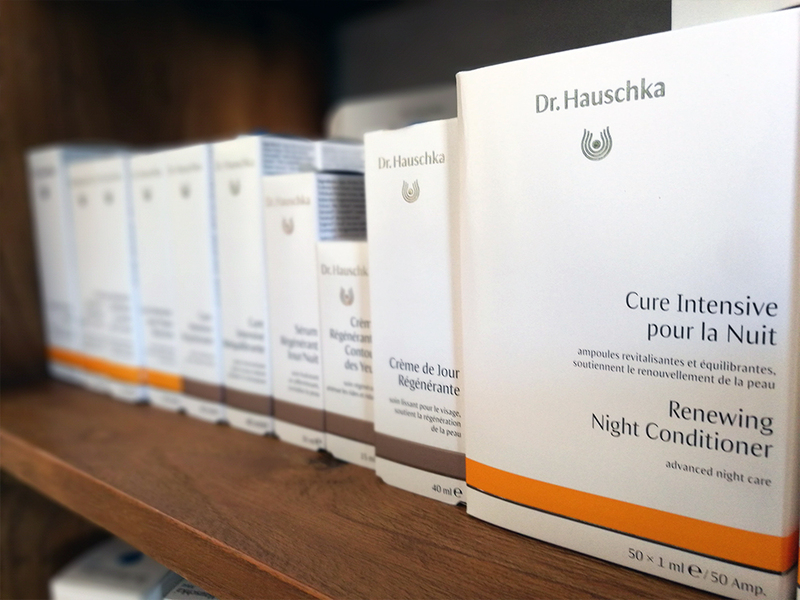 “Look after hair while respecting my customers’ health.” This is my motto. 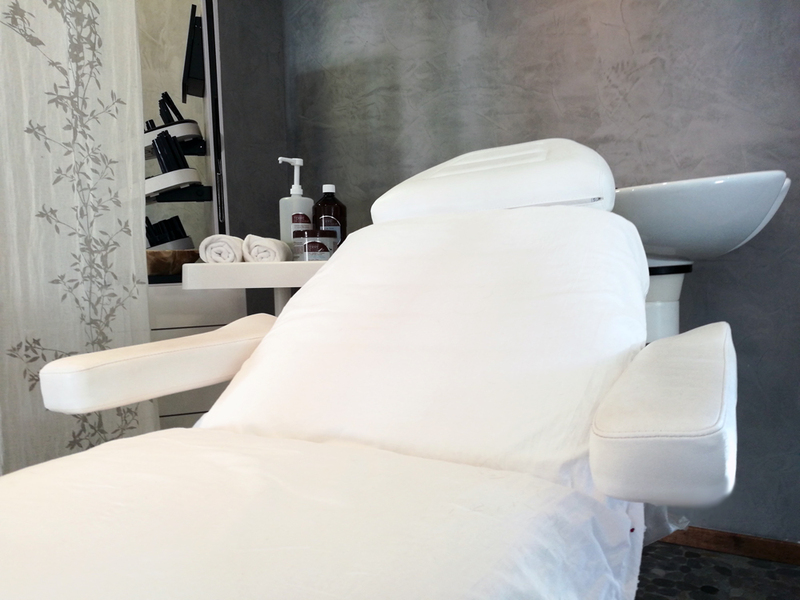 Looking after one’s beauty implies looking after one’s health. Optimising your health by keeping your hair healthy substantially boosts self-esteem and confidence. 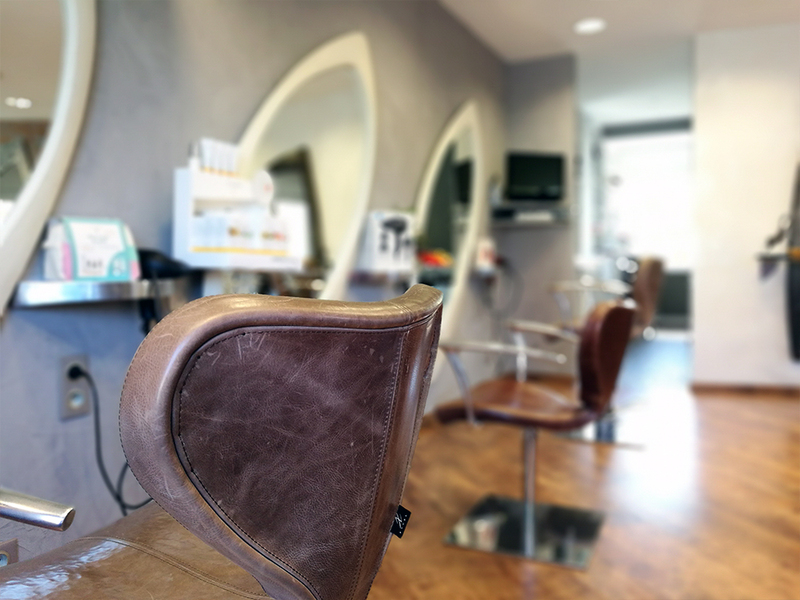 To effectively satisfy my customers, I am constantly taking courses in sculpturing, hair-up and colorimetry techniques. 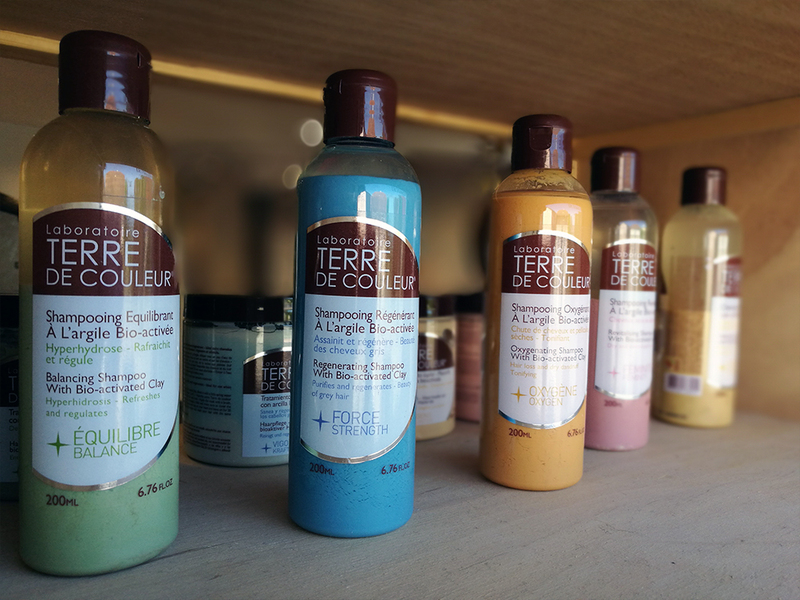 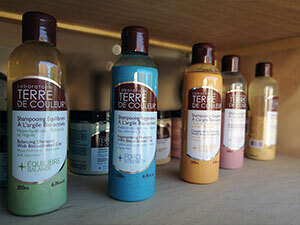 The partnership with Terre de Couleur has enabled me to find quality products which do not contain any chemical ingredients which may pollute the body. Respecting my customers’ health and respecting nature is the basis of natural hair styling. I have followed this career path since the age of 15 and have always been enthusiastic about my profession. 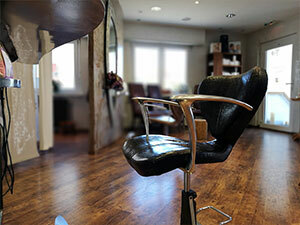 I must admit that since I have been practising it differently, I now feel fully accomplished. 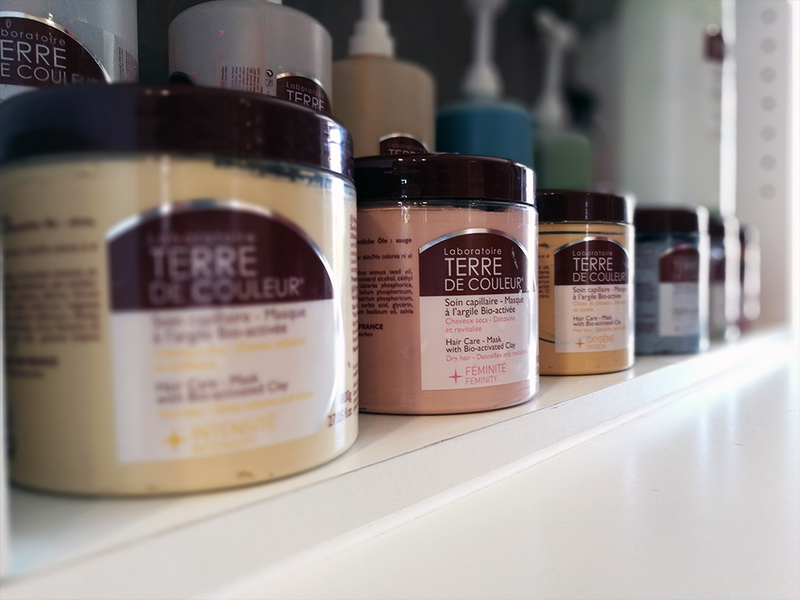 I have always resisted resorting to the use of toxic products used in classic hair styling and have stopped offering perms, straightening, dye removal and chemical dyes in my salon. 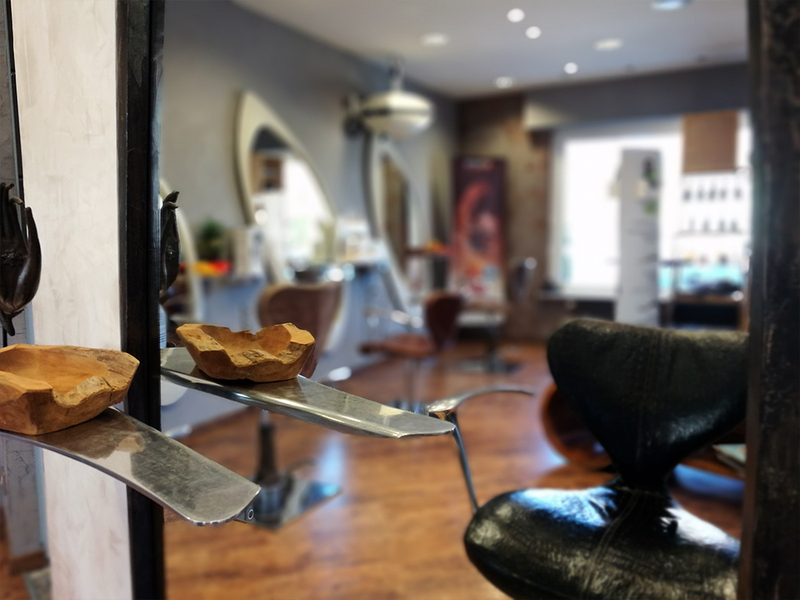 But I cut with accuracy and skill, I love creating hair-up styles and only suggest plants for the rest and very much enjoy this alchemy! My hair salon has become a natural hair studio specialised in social care. 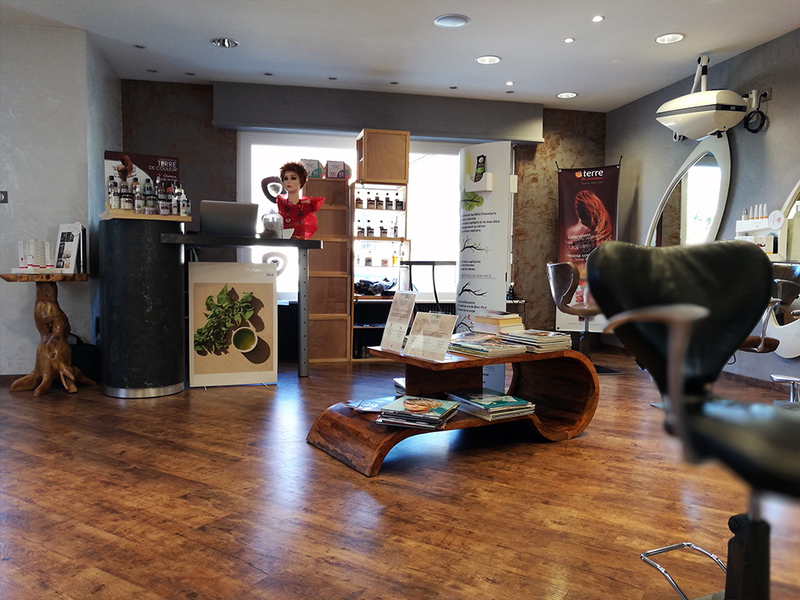 My work space is the achievment of my wish to experience hair styling differently by using natural and non-aggressive products, with the aim to bring everything dedicated to personal beauty and well-being under one roof. 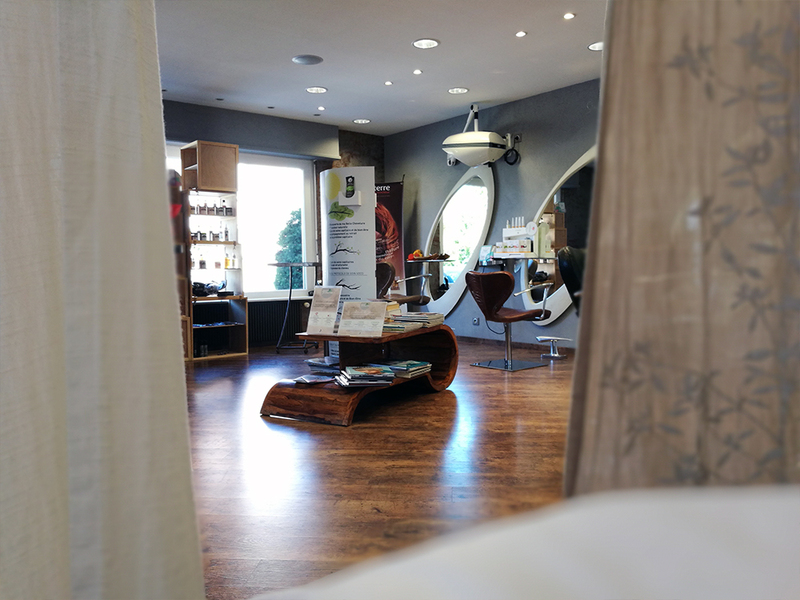 In order to achieve this, I have re-designed by work space by undertaking major development work and refurbishments in order to add my personal touch; the result is a warm, cosy, comforting area where one feels good! 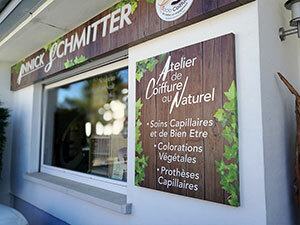 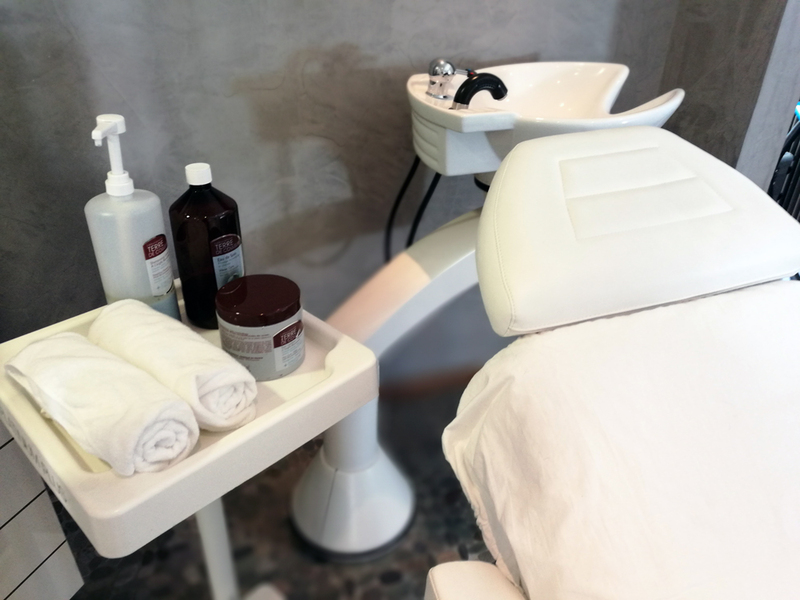 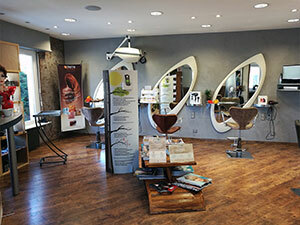 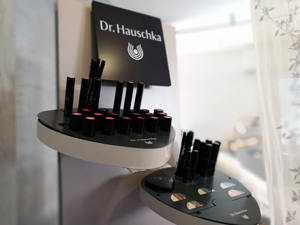 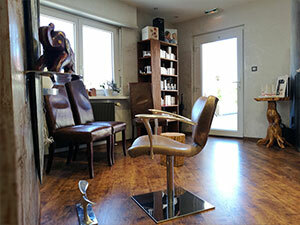 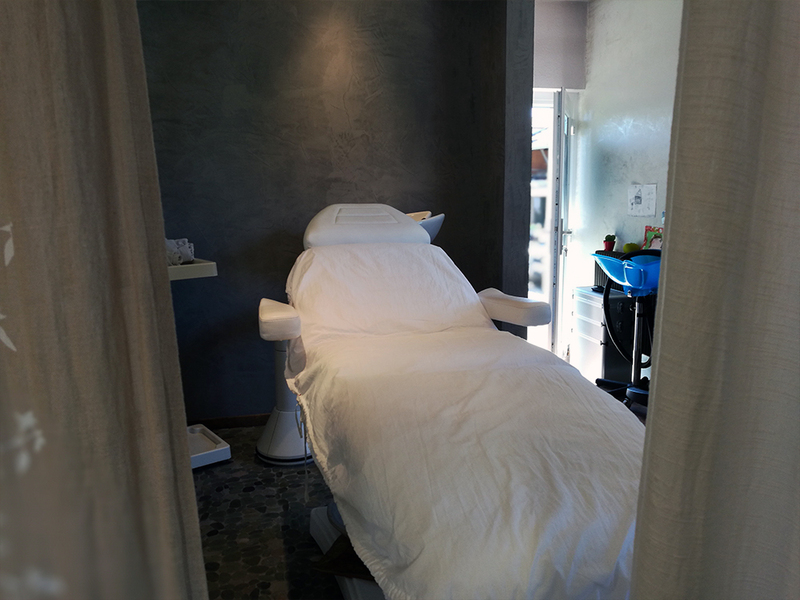 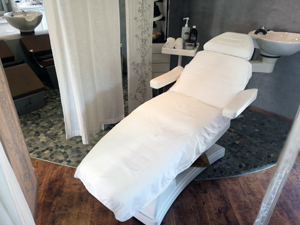 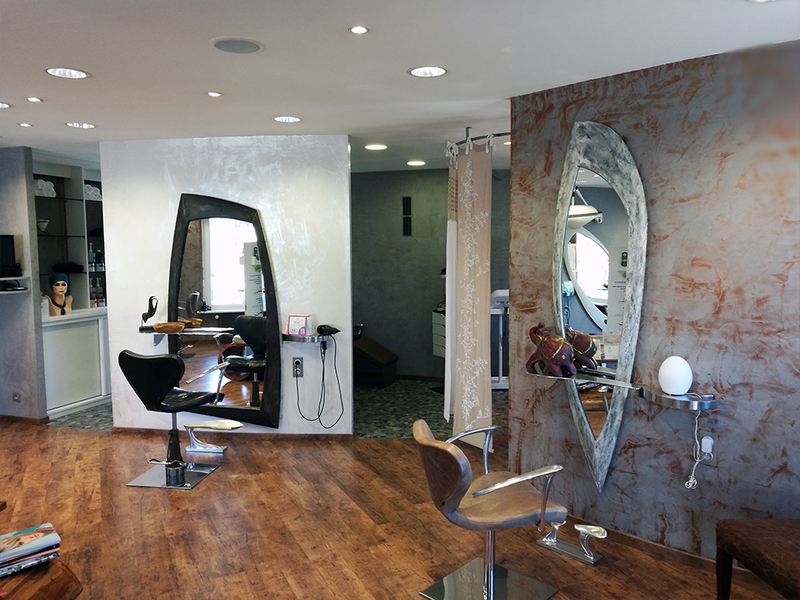 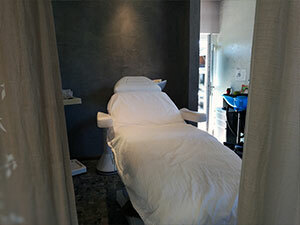 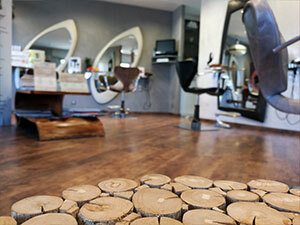 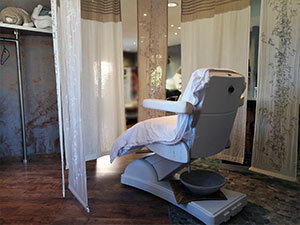 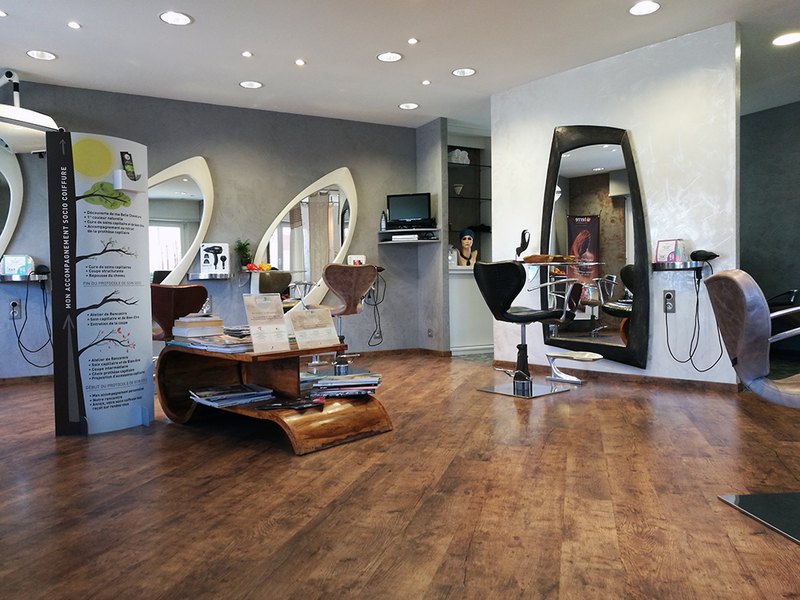 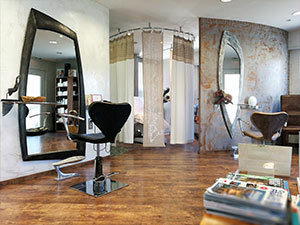 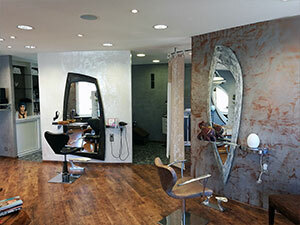 The salon is located in Rixheim in the Alsace, near Freiburg in Germany and Basel in Switzerland.